Electoral College critics point out the elections of 1824, 1876, and 1888 in their arguments to prove the system doesn't work. In those three elections the candidate who won the Electoral College vote, did not win the popular vote. Besides forgetting the 50 other elections where the Electoral College agrees with the popular vote, critics conveniently ignore the factors that caused these three situations. THE CRITICS CHARGE: In this election, critics point out that Andrew Jackson won both the electoral vote and the popular vote, but the House of Representatives circumvented the will of the people and chose John Quincy Adams as President. BACKGROUND: In this election four men, all from the same party, were running for President. Each was popular in a different section of the country: Adams in the Northeast, Jackson in the South/Southwest, Crawford in the South/Mid-Atlantic, and Clay in the West. When the votes were counted, Jackson had won the most electoral and popular votes, but had failed to carry a majority of electoral votes. 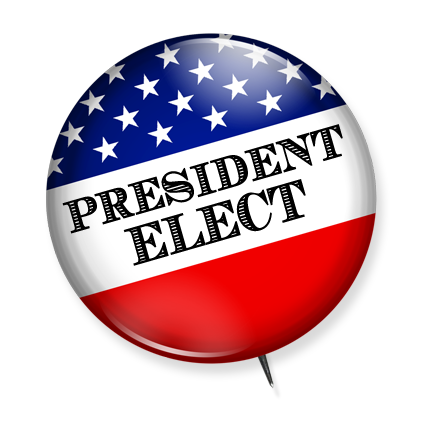 It fell upon the House of Representatives to choose the president from among the top three electoral vote getters: Jackson, Adams, and Crawford. With Clay throwing his support to Adams (who is rumored to have done so for a cabinet post), Adams carried the vote on the first ballot and was named President. WHY THE ELECTORAL COLLEGE SHOULDN'T BE BLAMED: The critics ignore the fact that the popular vote was not a true indicator of the will of the people in 1824. In fact, popular vote totals weren't even kept for elections before this one. Hardly any state had all four candidates on the ballot; most didn't have three. And six states didn't even have a public vote! Their legislatures chose the electors. This included New York, the largest state at the time, where Adams certainly would have been able to cut into or eliminate Jackson's popular vote lead. CONCLUSION: To say the Electoral College failed in 1824 is incorrect, because this was not a campaign where the candidates went after the popular vote; this campaign was fought for electoral votes. THE CRITICS CHARGE: In this election, critics say the system failed because even though Samuel Tilden had a substantial lead over Rutherford B. Hayes in the popular vote, he still lost by one electoral vote. WHY THE ELECTORAL COLLEGE SHOULDN'T BE BLAMED: The 1876 election was filled with so many irregularities, that blaming the Electoral College seems ridiculous. First off, Colorado had just joined the union and decided they didn't have enough money to hold an election so their legislature just sent three electoral votes for Hayes. Secondly, fraud abounded in the states of Florida, Louisiana, and South Carolina. Democrats intimidated blacks in order to keep them from voting, and Republicans, backed by armed troops, got as many blacks as possible to vote, as many times as they could. It's impossible to say who would have legitimately won these states, but most scholars agree Tilden would have won Louisiana and Florida, and Hayes would have won South Carolina. Lastly, the Electoral Commission set up by Congress is not part of the normal Electoral College system. It was composed of 8 Republicans and 7 Democrats who voted along political lines to give all the votes to Hayes. It turns out that the Republicans had secretly made a deal with the Democrats. If the Democrats would accept the results of the Electoral Commission, the Republicans would end Reconstruction in the South. CONCLUSION: To say the Electoral College failed in 1876 is incorrect, because without the rampant fraud in the South OR without a biased Electoral Commission that voted on partisan lines the popular vote winner, Tilden, probably would have won the electoral vote as well. THE CRITICS CHARGE: In this election, critics believe they have their best case against the Electoral College. Grover Cleveland won the popular vote while Benjamin Harrison won the electoral vote. Since no major issues of fraud, voter irregularities, or Congressional meddling is alleged, this is a straight up case of the system being wrong. BACKGROUND: The main issue, if not the only issue, in the campaign was the tariff, brought to the forefront by the incumbent president Cleveland. He proposed lowering it, widely favored in the South; Harrison wanted to keep higher tariffs, widely favored in the North. One of the most civil and boring elections in history was also one of the closest. Cleveland had only a 0.8% lead over Harrison in the popular vote. WHY THE ELECTORAL COLLEGE SHOULDN'T BE BLAMED: While this may be the critics best example to show the Electoral College is flawed, supporters would say this election shows why the system works. The Electoral College system encourages candidates to make their appeal as broad as possible in order to win. Cleveland basically ran a campaign based on one issue supported by a single region of the country and ran up the vote in that region, thereby padding his popular vote. In the six southern states of Alabama, Georgia, Louisiana, Mississippi, South Carolina, and Texas, Cleveland received over 65% of the vote. In those six states Cleveland beat Harrison by 425,532 votes. In the other 32 states combined, Harrison beat Cleveland by 334,936 votes. CONCLUSION: To say the Electoral College failed in 1888 is to not understand how the system works. The Electoral College prevents one region of the country voting as a block from unduly directing the outcome of the election to the rest of the country. The real reason Cleveland won the popular vote (by only 90,536 out of 11,379,131votes cast) but lost the election was because of unusually high support in a single region of the country.